Virtues help purify a person and guide a person in life. It helps purify their mind and allow them to open a higher level of consciousness. All practices of old religions emphasizes this but this practice is lost in modern religion. In China for the longest time, Martial Arts masters and the Wu De preserved in their schools helped preserve the integrity of society. It was not any form of government or religion that created the harmonious effect of society. In Tai Chi, this purification process is also a mental form of preparing the mind. The purification process also allowed martial arts practitioner comprehend the deeper meanings of martial arts. Because spiritually their mind has reached a higher level of consciousness, they can merge lower level theories with higher (deeper) level of theories. 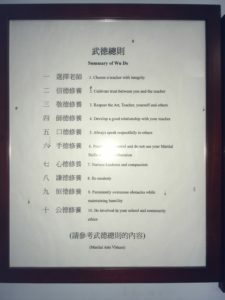 Traditionally ALL Chinese martial arts school had their own virtues or code of conduct. 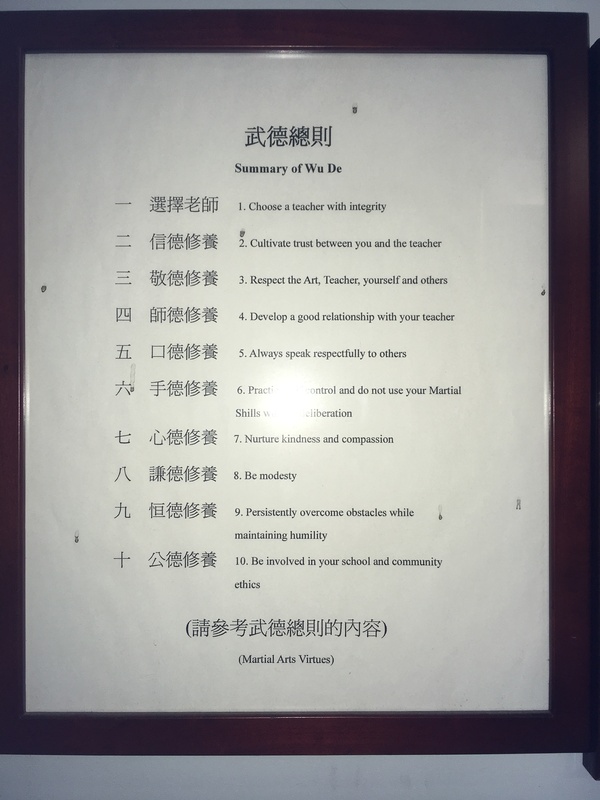 Sadly I have seen the teaching of virtues fading in martial arts school especially in the U.S and bad students coming out of some of these schools. These students are arrogant and quick temper making them very aggressive. 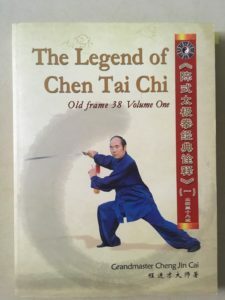 Virtues are not being embraced anymore in Chinese martial arts (Kung Fu) school in America. They may teach it but the virtues of the school is not being instilled in the students. 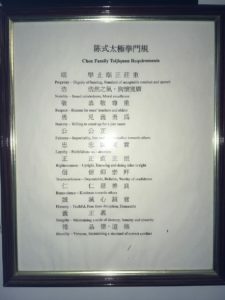 There is Wu De from Chen Village and another set of Wu De for each individual school.